Always in pursuit of new expressions of terroir-driven Pinot Noir, our partners at Banshee Wines in Sonoma have ventured north to the Willamette Valley. It is here that they found many parallels to the characteristics that drive Sonoma's premier winegrowing, including cold Pacific winds drawn through gaps in the coastal mountain ranges, and unique combinations of marine sedimentary and volcanic soils. 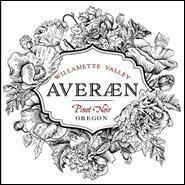 In 2015, alongside their original winemaker Adam Smith (who, while in Oregon, has made wine at Shea, Domaine Serene, and Nicolas-Jay) they made their first vintage of AVERÆN. Smith's relationships in the Valley have quickly afforded AVERÆN privileged access to Oregon's highest quality fruit at prices reflected in the great value of this first release. Sourced from throughout the Willamette Valley, spanning such sub-appellations as Yamhill-Carlton and Eola-Amity Hills, AVERÆN was fermented and aged in a combination of stainless steel and neutral oak for 10 months. Vinous Media 91 “Displays abundant berry and floral character, with vibrant spice accents adding verve. Seamless in texture and appealingly sweet, the 2017 finishes with impressive, juicy persistence and resonating florality. This is textbook Willamette Valley Pinot Noir at a great price.” – J.R."